Smithsonian is a band composed of five veterans of the Atlanta music scene who have united in their affection for the short but sweet career of The Smiths. They are joined by the B-53’s. The best Guns N Roses cover band in the South! 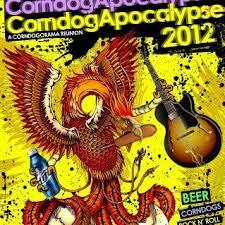 The two day Corndog apocalypse is back with performances from the likes of:Snowden, Royal Thunder, and Sealions. This band is not as rebellious as their name leads you to believe, but they sure do put on a great show. POVERTY IS REAL is a non-profit organization that leverages great music to combat poverty in local communities. PIR takes their fundraising concerts on tour, celebrating music and supporting local organizations that fight poverty and homelessness. Susan Kay “Suzy” Bogguss is an American country music singer. In the 1980s and 90s she released one platinum and three gold albums and charted six top ten singles, winning the Academy of Country Music’s award for Top New Female Vocalist and the Country Music Association’s Horizon Award. Hipsters near and far have been digging Zulu Pearls, catch them before everyone knows them.